With 90 percent of trails open statewide already, this weekend's projected storm will set the stage for ideal skiing and snowboarding at Vermont resorts. Hit the road today or tomorrow and get ready for the epic long weekend in Vermont. 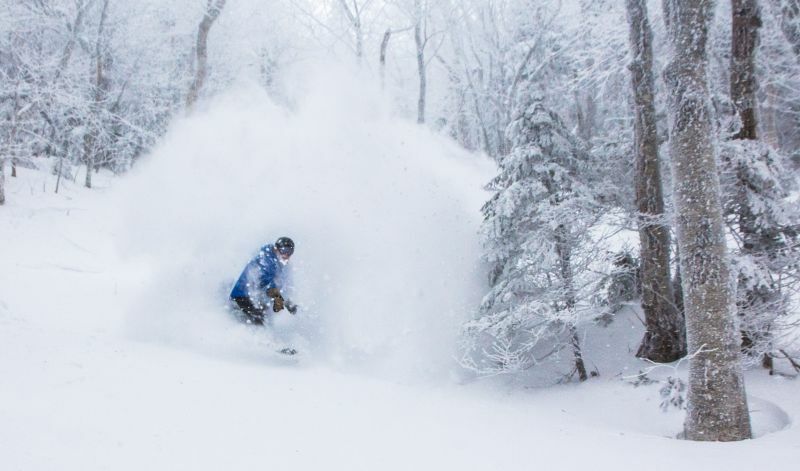 We have also put together some tips and tricks for enjoying January skiing and snowboarding in Vermont. Below you'll find a list of great events going on this weekend at Vermont resorts, just in case the snow isn't convincing enough. Bolton Valley: Saturday Jan 19 – DIGGS is sending it back to where it all started... Bolton Valley. Get pitted and shred the gnar with the crew for a classic Bolton Beach throw-down in The James Moore Tavern. Show starts at 10:30 pm. Bromley Mountain: This holiday period Bromley will have live music by “The Wheel” Saturday & live music by “Wyld Nightz” Sunday night form 4-7 pm. They'll also be giving away free s’mores off the Sun Deck on Saturday from 4-5 pm. Burke Mountain: Saturday January 10- Join Burke Mountain for a Ride and Apres Ski Party. Kali Stoddard-Imari will be performing from 3-6 pm and the Ride & Ski crew will have more than $2000 in giveaways from Fischer, Bern, Transpack, Harpoon, Jameson, Kahlua and more. Killington Resort: The events team put together a great lineup that will satisfy everyone in the family or group this holiday weekend. From glow tubing to torchlight parade to free Ben & Jerry’s ice cream, Killington has it all. Magic Mountain: Saturday Magic’s Black Line Tavern will feature Kevin Shields for an après ski party from 3-6 pm and then SophistaFunk hits the EQX 102.7 stage from 8-11 pm as part of the Black Line Music Series. The fun continues Sunday with a Snow Dance Party with DJ JoeBell at the controls. Mount Snow: This weekend Mount Snow will have a Torchlight Parade & Fireworks, Grommet Jam and a beer pairing dinner with Trout River in addition to the Bud Light Concert Series. Okemo Mountain Resort: Okemo will host a mind-bending landscape of light set to music with its Let it Glow Laser Light Show Spectacular. Guests will feel immersed in a laser canopy of light and sound as colorful beams bounce off the snow on Bull Run in front of The Sitting Bull on Saturday, Jan 19. Smugglers’ Notch Resort: Join Smuggs as they light up the night sky on Jan 19 with a bonfire, dramatic torchlight parade starring their Snow Sport Unviersity coaches and spectacular fireworks against the backdrop of the Green Mountains in celebration of Martin Luther King, Jr.
Stratton Mountain Resort: Events this long weekend include live music, a full moon snowshoe tour, snowcat dinner to mid-mountain, fireworks and so much more. Sugarbush Resort: Join Sugarbush for live music, fireworks, torchlight parades and morethis holiday weekend. There is something that will please everyone in the family.